Hundreds of thousands of ruble notes are being issued daily by our treasury. This is done, not in order to ﬁll the coffers of the State with practically worthless paper, but with the deliberate intention of destroying the value of money as a means of payment. 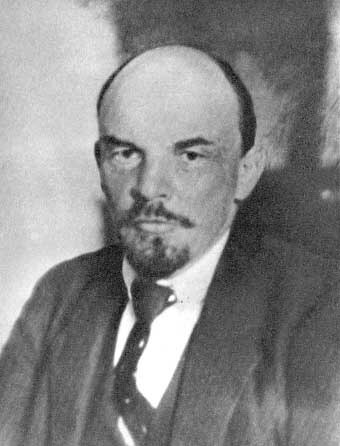 There is no justification for the existence of money in the Bolshevik state, where the necessities of life shall be paid for by work alone. Experience has taught us it is impossible to root out the evils of capitalism merely by confiscation and expropriation, for however ruthlessly such measures may be applied, astute speculators and obstinate survivors of the capitalist classes will always manage to evade them and continue to corrupt the life of the community. The simplest way to exterminate the very spirit of capitalism is therefore to flood the country with notes of a high face-value without financial guarantees of any sort. It’s hard not to go back to this kind of reasoning as we see Nelson Merentes shoved out of the largely-ceremonial-but-symbolically-loaded post of Veep for the Economy in favor of Rafael Ramirez, a paid-up-member of the looney squad. To be clear, the specific mechanism at play in Venezuela is different from the one Lenin chose. Rather than hyper-inflation, the type of monetary insanity the radical wing of bolivarianismo has settled on is an aggressively distorted foreign exchange market that utterly destroys the competitiveness of Venezuelan private enterprise vis-à-vis the state sector, which is increasingly the only one with access to cut-rate forex. A seven-fold gap between the official and the black market dollar rate is provoked, as the private sector is cut-off from access to foreign exchange. This is done not in order to anchor inflation or prevent capital flight, but with the deliberate intention of destroying the ability of private entrepreneurs to operate their businesses at a profit. There is no justification for the existence of a working forex system in the Bolivarian state, where the necessities of life shall be imported by the government alone. Experience has taught us it is impossible to root out the evils of capitalism merely by confiscation and expropriation, for however ruthlessly such measures may be applied, astute speculators and obstinate survivors of the capitalist classes will always manage to evade them and continue to corrupt the life of the community. The simplest way to exterminate the very spirit of capitalism is therefore to establish a state monopoly on the use of foreign exchange, destroying the ability of the private sector to operate at a profit. As L.V. Leon writes in ProDaVinci, there isn’t really anyone left, inside or outside of government, who fails to see the devastating effects on prices and goods-availability of the current policy mix. So when we see the wing that’s dead-set on ‘heightening the contradictions’ empowered to the detriment of the pragmatists, there’s just one conclusion left: la vaina es a propósito.